Innovating Math Instruction explores how The Cranbury School (Cranbury, NJ), enables math middle school math teachers to “push in” to lower grades to decrease class size and differentiate instruction. Every morning students in grades 3-5 do the “Math Shuffle,” changing classes to develop math skills at their own pace. New Faces in STEM Careers profiles the Green Valley Ranch High School (Denver, CO), part of a network of science and technology-focused schools designed to attract a diverse student body. A strong community culture and challenging coursework has produced a consistent 100% graduation and college attendance rate. 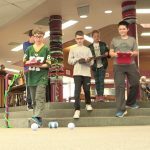 High Tech Makes Learning Personal highlights a former junior high, now reinvented as Alan B. Shepard Middle School (Deerfield, IL) that has grouped students into smaller teams and made rich “encore” options a potent force in student engagement. 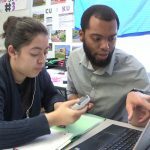 STEM and Communications Media Arts programs offer students dynamic challenges and inform “core” instruction as well. 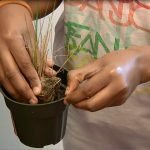 Field Experiences Spark Students’ Passion for Science, a video produced by district staff, details how Deer Park Environmental Magnet Elementary School (Newport News, VA) immerses students in critical STEM explorations both on campus and off. Students care for more than 50 animal habitats on campus and assist restoration efforts at the nearby Elizabeth River. 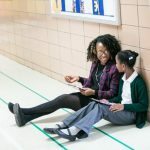 Creating Tomorrow’s Fierce Females, based on interviews, profiles the Excellence Girls Charter School (Brooklyn, NY) and its mission to develop “Fierce Females”—capable, self-assured, independent thinkers and speakers. The two campuses (elementary PK-5 and middle 6-7) combine spirited dialogue with academic rigor.